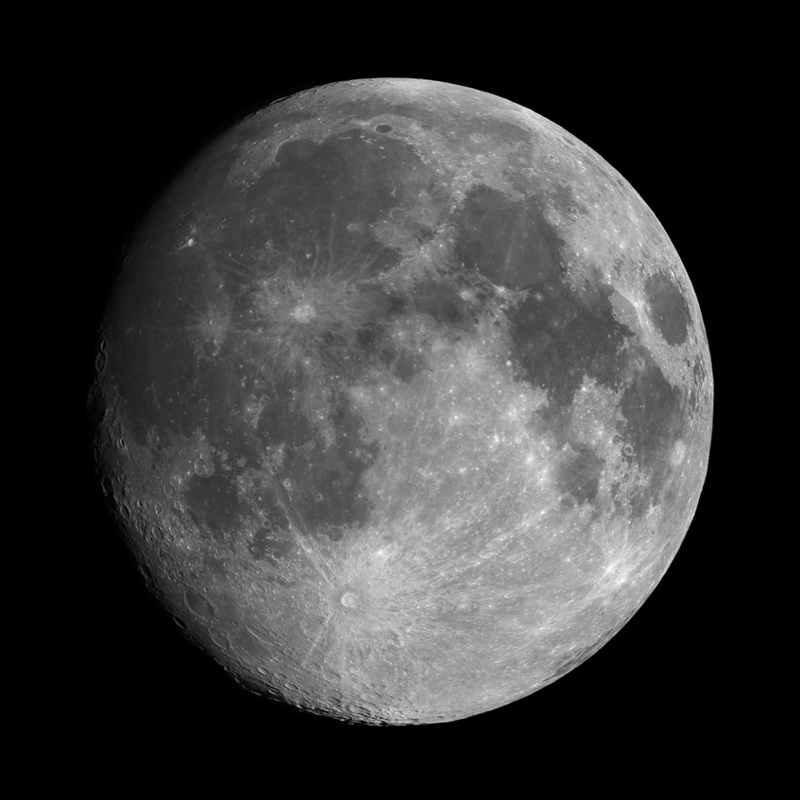 This image is an 18 frame lunar mosaic of a 12 day old moon. This one was a real challenge in that I did not have my mount in Lunar Tracking mode and some of the combined frames did not overlap by very much making the stitching exercise a bit interesting. Each frame is an average combine of 5 raw frames. The frames were aligned and combined in CCDSoft, layered and stitched in Photoshop, and deconvoluted in AIP4WIN.